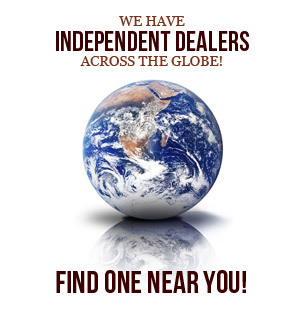 The roofing industry’s most comprehensive lifetime limited warranty — available worldwide! As wise consumers, we learn to investigate the warranties on items that we buy. We look at the length of the warranty, what it covers, and what it doesn’t cover. Yet, despite all of these warranties, we have largely become a disposable society. When the television breaks, it is easier to replace with a new one than fix the old – we do that with so many things! We don’t expect anything to last for more than a few years, let alone a lifetime. The same is true in how we roof our homes. The asphalt shingles and other conventional materials used in the United States begin to fail the moment they are exposed to the elements. Granule loss and inexpensive “filler” materials ensure homeowners a temporary roof in need of replacing within 12 to 20 years. While conventional roofing materials carry long-term warranties, consumers find time and again that the warranties are heavily pro-rated and have many exclusions. When their roof does need replaced, there is minimal or no coverage available to them. 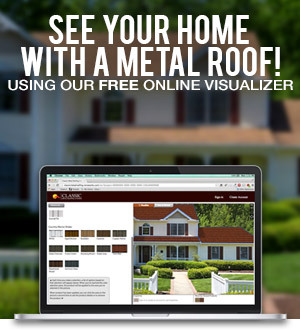 Classic Metal Roofing Systems is pleased to offer the metal roofing industry’s most comprehensive warranty. As the original owner, you receive a Lifetime Limited Warranty covering Manufacturer’s Defects as well as specific things like cracking, peeling, flaking, chipping, and splitting. This warranty is in effect for as long as you own your home. We also warrant that the product’s coating will not chip due to hail and that the product will not leak due to hail. There is also a 120 mph wind warranty on the roof system and our manufactured components. Should you choose to sell your home, the warranty becomes a 40-Year Warranty from the date of installation. Unlike many warranties which transfer only one time, ours transfers (at no cost) each time the home is sold during that 40 years. Our warranties are completely non-pro-rated which is virtually unheard of in the roofing industry. Additionally, our products carry the 30-year fade and chalk resistance warranty that is available only with PVDF coatings. The Classic Metal Roofing Systems warranty, should a warranted failure occur, covers both materials and labor for repair or replacement. (Many roofing material warranties provide only replacement materials or a discount toward replacement materials.) As is the case with all building materials, the original workmanship in installing your Classic roof will be warranted by your installation contractor. (Our warranty does not cover damage of any kind resulting from improper installation.) You should request a copy of the installation workmanship warranty prior to entering into any contract. We provide a warranty of this level and coverage because our products and technology are proven. In over 30 years of roofing thousands of homes across the world, we have had only a handful of warranted claims. We are proud of that track record and are committed to set new standards of excellence for years to come.